Panoramic view from the summit of Monte Giovi . 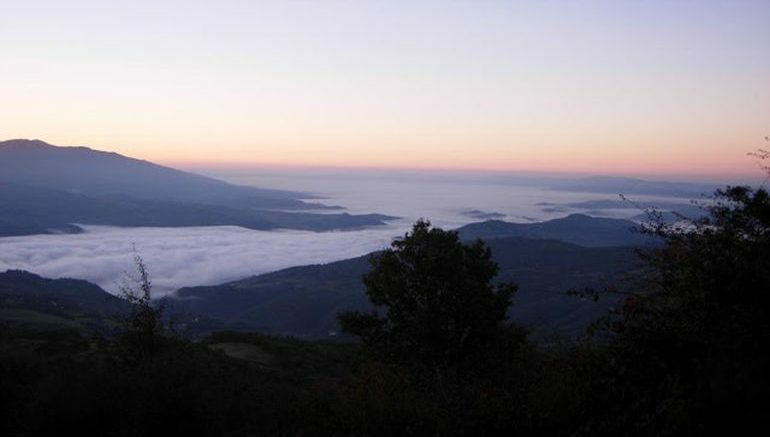 Located in the province of Florence, Italy, Monte Giovi (or ‘mountain of Jupiter’) pertains to a small range of hills, with the highest summit of this Tuscany massif reaching a height of around 3,250 ft. And while the area is often associated with the Italian Liberation War during WWII, its historical legacy is over millennia old. 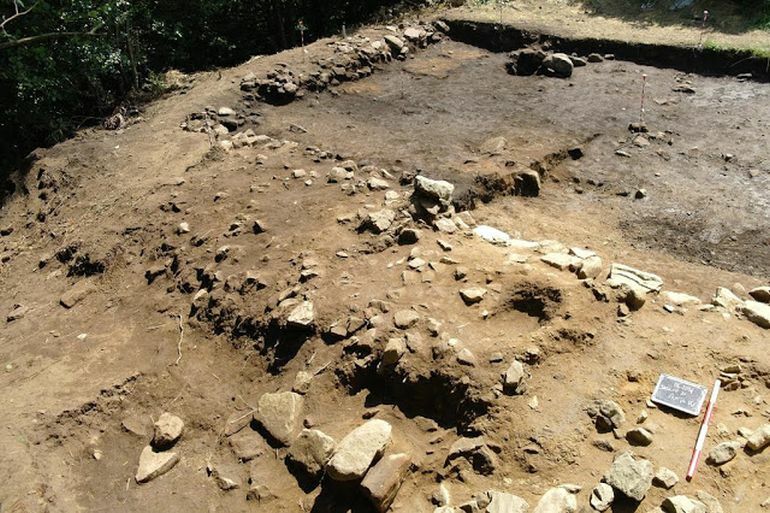 To that end, researchers from the University of Florence have stumbled across an Etruscan temple on the summit, with the sanctuary possibly playing its part in the ‘studying’ of lightning patterns for oracular purposes. Overlooking the ancient Etruscan city of Fiesole (possibly founded in 9th-8th century BC), the presence of the structure, comprising rectangular embankments, was already confirmed by aerial photographs. 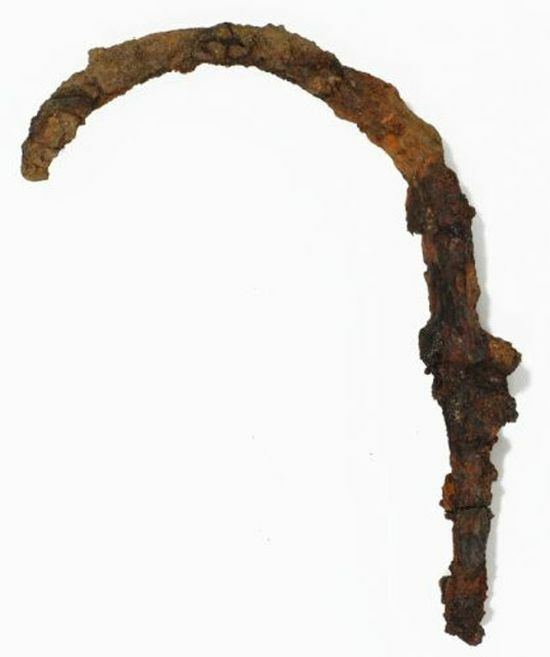 And interestingly, archaeologists had also come across certain iron and bronze-made ancient objects, like arrowheads and javelin tips, back in the 70s. And this time around, the newer excavations revealed a wealth of other fascinating artifacts, with their dates corresponding to the different layers of the Etruscan structure (including tombs of priests). The lituus had been broken and buried in the ground in the middle of the paved area. From the location, it can be assumed that this was a auguraculum, a celestial temple. A place used to interpret the will of the gods. The Etruscans divided the sky into sixteen parts, each corresponding to a different divinity. For this reason, it was important for the Etruscans to observe natural phenomena such as lightning. 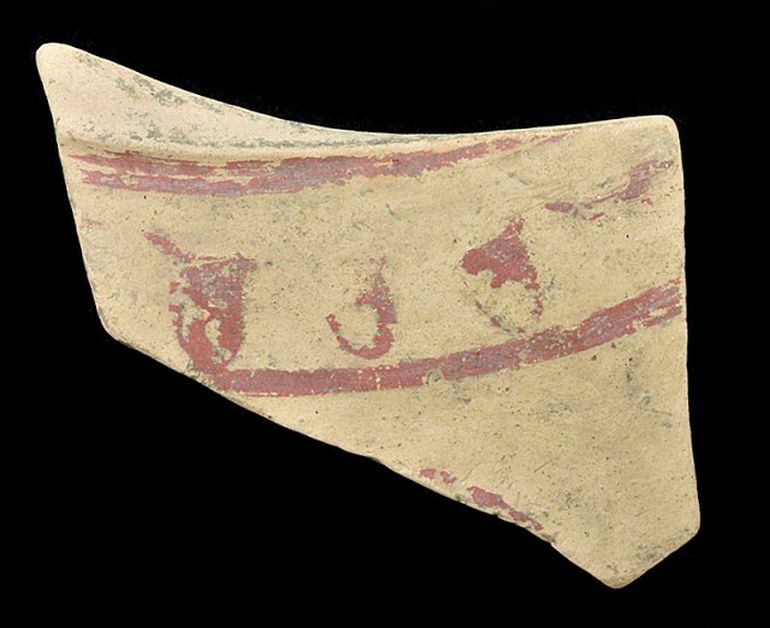 Fragment of painted pottery found at the Monte Giovi site. The researchers have hypothesized that the Etruscan temple atop the Monte Giovi was probably dedicated to Tinia, the Etruscan god of the sky and the leader of the pantheon, thus being equivalent to Roman Jupiter and Greek Zeus. And interestingly enough, according to Etruscan mythology, all of their nine Great Gods were capable of hurling thunderbolts, with Tinia being exceptionally adept at it by virtue of his three ‘unique’ thunderbolts and a power rod. 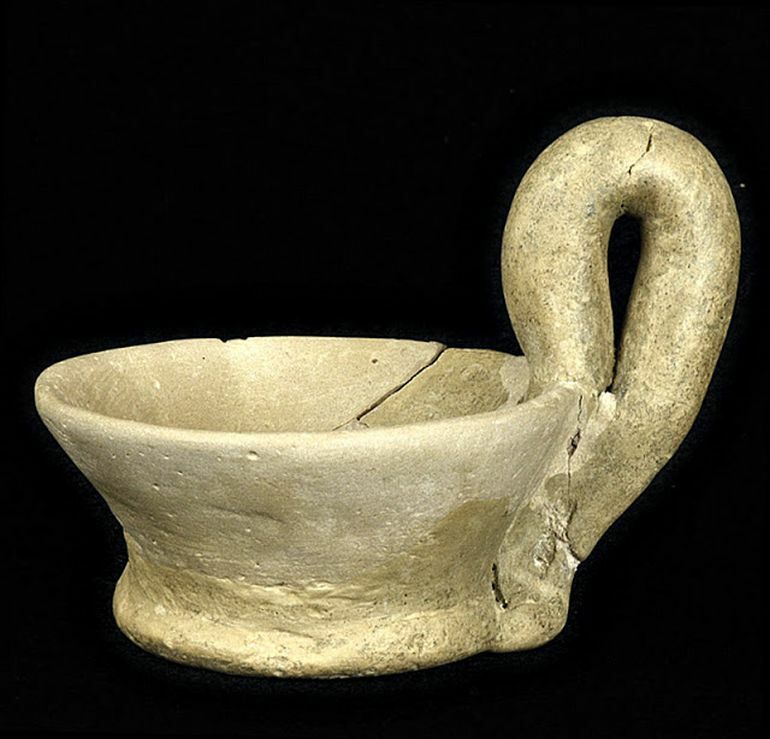 Ceramic cup found at the Monte Giovi site. However, in spite of such vivid Etruscan myths, not much is known about the comprehensive religious structure followed by the Etruscans. In fact, to that end, even the Etruscans themselves are still mired in mystery with numerous theories being concocted when it comes to their origins. One of the latest mitochondrial DNA studies has revealed how they were apparently related to a Neolithic population hailing from Central Europe. And in Roman terms, the Etruscans were possibly called Tusci or Etrusci, and their heartland is thus known as Tuscany, the picturesque north-western part of central Italy. Restored vase from the Monte Giovi site. 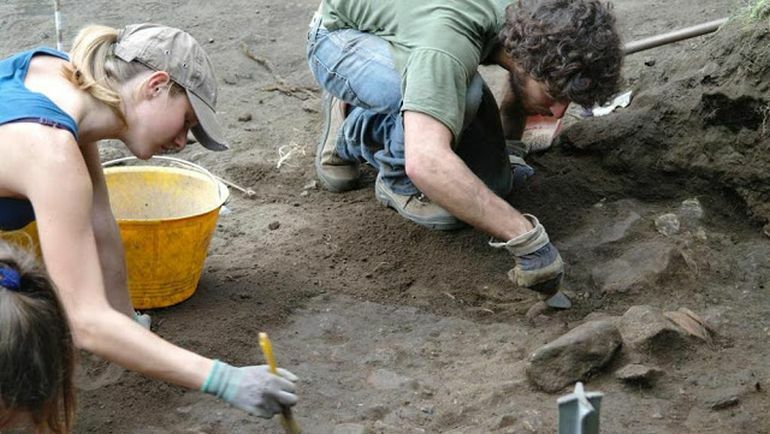 And lastly, since we brought up the scope of the ancient Etruscan religion, back in 2016, a collaborative effort from the Mugello Valley Archaeological Project and the Southern Methodist University (SMU) uncovered a 2,500-year old stone slab from an Etruscan temple at the Poggio Colla archaeological site, in Tuscany. The object displayed the name of a very important Etruscan goddess – Uni. 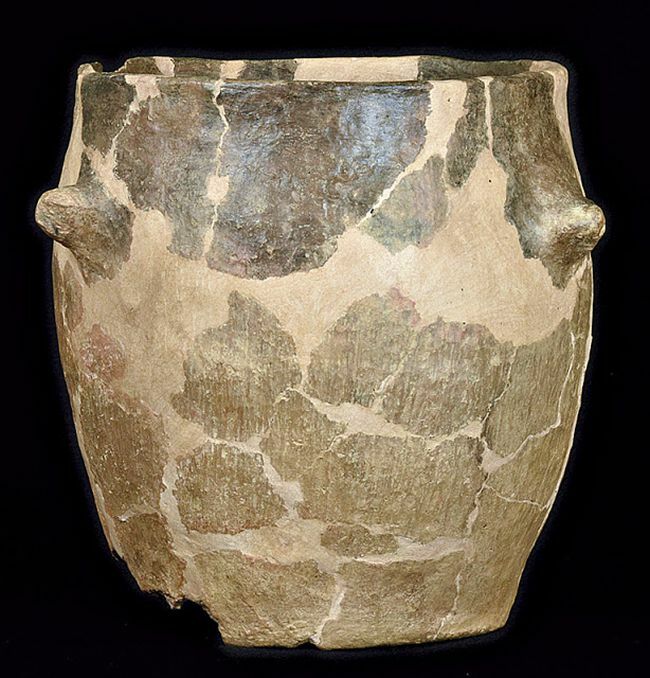 This hinted at the presence of an underground fertility cult that might have thrived in this particular Etruscan urban area (circa 7th-4th century BC) during its heydays. Ruins of the perimeter wall of the Etruscan temple structure at Monte Giovi.